Kerala has some of the most positive literacy indicators, but like the rest of India it has not been able to break caste barriers and a school in the northern district of Kozhikode is a case in point. The Government Welfare Lower Primary School in Perambra village has become a “Dalits only” school because other communities in the village have stopped sending their children there. For the last 10 years and despite several attempts, no child from the upper castes has studied there. Located 40km away from Kozhikode city, Perambra village has a fairly varied social composition. Forty Scheduled Caste (SC) Sambava or Paraya families live in a colony near the school, but there are upper caste Nair and Nambiar families and even Thiyya (OBC) families residing near the school. Most of the residents of the colony are daily wage workers who earn around Rs 500 a day. “There are only 12 students in the school in four classes, and all of them belong to SC category. No upper caste child has studied here in the last 10 years, even though we tried our best to increase the strength,” says Reghunathan Thettiyil, the school’s headmaster. Thettiyil says that the school has very good infrastructure. Another teacher at the school elaborated further, but requested anonymity. “Since the students’ number has been reducing every year, we used to visit the houses nearby to convince parents to send their children. But the upper caste parents told us that they don’t want their kids to sit with Parayas. They have directly told us this,” the teacher says. However, when Thettiyil and the other teacher say “upper caste”, they are actually referring to OBC communities in the village who are considered to be above the SC. Children of the Nair or Nambiar community have never studied in the school, whereas before 2005, a handful of OBC children were on the attendance sheets. But since then, OBC children who reside nearby go to another government school which is much further away. Earlier, many Muslim children would also study at the school, but with economic prosperity, their parents now send them to private English-medium schools. Christian families in the village have traditionally been more affluent and have been sending their children to private schools for years. But the discrimination seen in the school is merely an extension of the ostracisation practiced in other aspects of village social life, according to the school teacher. “The Paraya colony itself is being ostracised. None of the other caste neighbours invite them for weddings or other functions. These people are not included in any of the social activities in the locality,” the teacher says. 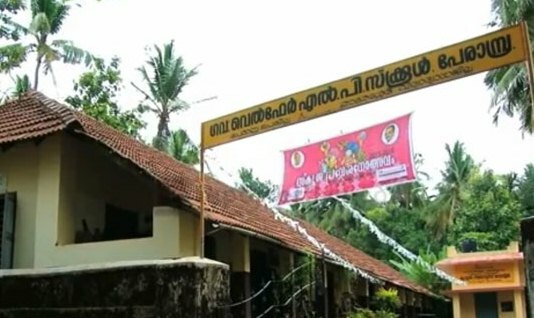 Recently Malayalam news channel Reporter TV had said that the children from this colony have been discriminated against by their fellow students when they attend other schools. In the report an 8-year-old child from the colony is quoted saying that her classmates and seniors insulted her by calling her by her caste name, “Paraya”. “Not only children, if you are born in a lower caste family you will always be out of the society. Whatever change happen casteism remains. They [upper caste members] will insult you calling your caste name, they will discriminate you as your skin colour is dark and your language has a different accent,” says CM Kunju Kutti, a social worker in the colony. When The News Minute asks a Nambiar man, a government employee who wished to remain anonymous, about upper caste children not attending the Peramba school, he says that it is not because SC children were enrolled there. “Actually these students from colony (Sambava) are untidy, they has lots of diseases since they live in unhygienic environment,” he says. The man then goes on to claim that the students from the colony are below average and poor in their studies and questions how brilliant students could study with them. “Children from other families are competent in their studies and there they have only 12 students who are poor at their studies. This is also a reason why parents are hesitant. It is not only the facilities of the school, your classmates also matter,” he says. Recognising the manner in which poverty causes Paraya children to give up their studies, Thettiyil and the three other teachers have worked hard over the last eight years to ensure that the children stay the course. “We have four teachers in the school all of us are from different other places. We could have taken a transfer but we stayed here just because we wanted to ensure at least a few of them completed their studies,” he says. Once they complete the fourth standard, the teachers make sure that they are enrolled in government hostels in Mahi or Kozhikode where they can be resident scholars. “We are watchful so that they don’t drop out. There are good students among them (Parayas) and we can easily train them,” Thettiyil says.